I am aware that the title of this chapter conflicts with the fact that not all aquatic bird groups are included in it, but I was unable to find a more appropriate one. As outlined in Chap. 3, there is support for a clade including the nonmonophyletic "Pelecaniformes" except the Phaethontidae (tropicbirds), as well as the Sphenisciformes (penguins), Gaviiformes (loons), Procellariiformes (tubenoses), and the taxa of the nonmonophyletic "Ciconiiformes." The affinities of the Phaethontidae are uncertain, and the taxon is discussed in the present chapter for convenience only. The fossil record of crown group representatives of the "waterbird clade" is among the oldest for Neoaves. 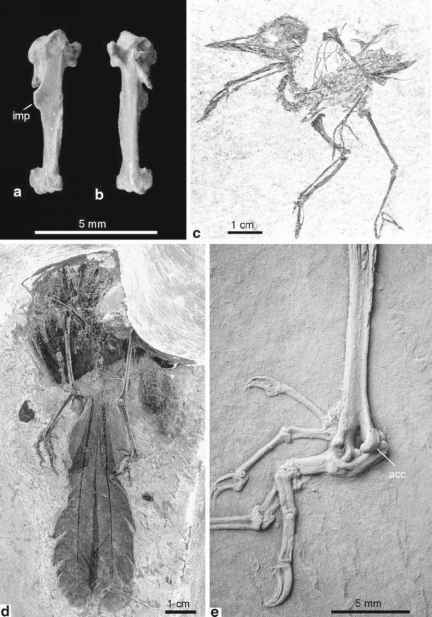 Stem group Sphenisciformes date back to the Cretaceous-Paleogene boundary (Hansford 2008), and putative stem group Gaviiformes and Procellariiformes were reported from the late Cretaceous (Chap. 4). The early evolution and historical biogeography of these birds is, however, still poorly understood. The osteological features of early Eocene stem group representatives of, for example, the Threskiornithidae are trenchantly different from those of coeval Sphenisciformes, which indicates a long evolutionary separation of the lineages leading to these two taxa already by that time. Likewise it is uncertain where the stem species of the clade including the above-mentioned taxa lived, although this may well have been one of the southern continents. A tentative hypothesis on the interrelationships of some of the taxa discussed in this chapter is depicted in Fig. 7.1.